India has launched a third satellite for the same series to offer improved services to its customers for remote sensing data. 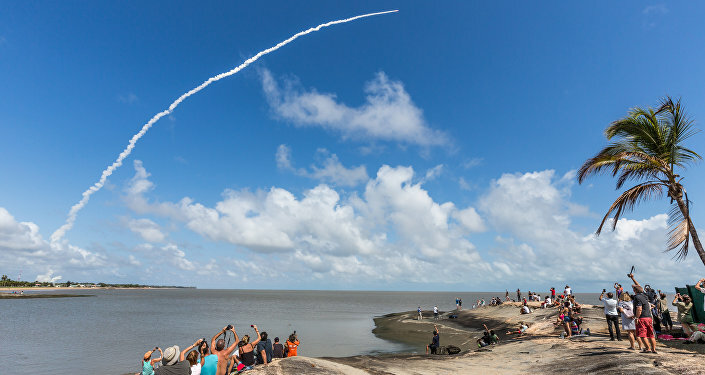 New Delhi (Sputnik) — The state-owned Indian Space Research Organisation (ISRO)'s Polar Satellite Launch Vehicle (PSLV-C) on Wednesday launched the Resourcesat-2A satellite from the Satish Dhawan Space Centre in Sriharikota, about 100km from Chennai. — Prasar Bharati (@prasarbharati) 7 декабря 2016 г. ​Resourcesat-2A is a follow-on mission to Resourcesat-1 and Resourcesat-2 launched in 2003 and 2012, respectively. The satellite has three payloads including a high resolution Linear Imaging Self Scanner (LISS-4) camera operating in three spectral bands in the visible and near infrared region (VNIR) with a 5.8m spatial resolution. The satellite has two solid state recorders with a capacity of 200 gigabits each to store the images taken by its cameras, which the ground stations can later access. Meanwhile, with 36 successful flights, PSLV has emerged as the workhorse launch vehicle of ISRO and is offered for launching satellites for international customers. In the last 20 years, PSLV has launched 121 satellites of which 79 satellites are from abroad and 42 domestic.